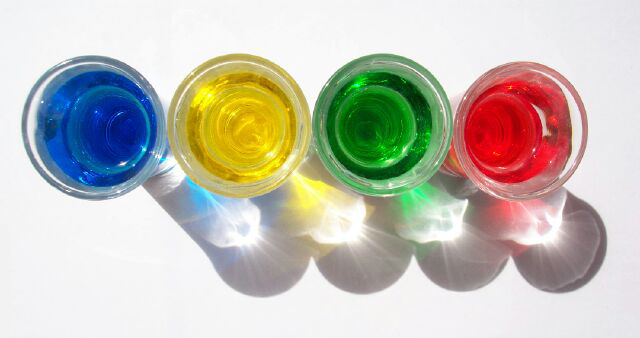 Food colouring in shot glasses. Set on A4 paper with the natural lighing of the sun beaming down. I took a number of shots, however this one with it's bright background came out the best. I love the color! really nice job with the reflections! I think this is intresting. Proudly hosted by Sargasso Networks. Current Server Time: 04/24/2019 09:54:24 PM EDT.